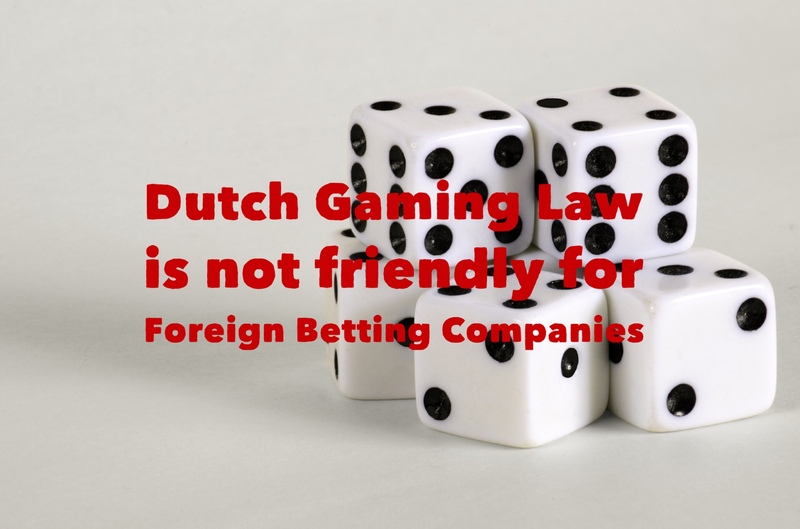 Dutch Gaming Lawyers have challenged clients to enter the Dutch Market. Licenses for lotteries are still granted to Dutch Lotteries only. The Netherlands have not opened up the gaming market. The Bill for Online Gaming should comply with the goals of the European Treaty. It’s strange that online lotteries do not yet qualify for licenses, while all other forms of gambling such as casinos and sports betting are provided for in the draft bill on remote gambling. Read this update on the Dutch Gaming Licenses. Article 56 TFEU requires the removal of any restriction on the freedom to provide services which means that the activities of the provider established in another EU Member State and legally perform similar services are prohibited, even if this restriction applies without distinction to domestic Providers and providers from other Member states. EU Member States may make limitations. It must be examined on grounds of justification. The treaty gives the Member states discretionary power regarding the organization and regulation of gambling. Member States themselves decide how they want to protect their citizens against negatively impacts on remote gambling. However, this discretionary power is not absolute. The ECJ has set limits to the free movement of services in particular gambling. For example, a Member State may impose restrictions only if it pursues a legitimate objective for the public interest. These measures should be proportionate, and appropriate to achieve the stated goal and also necessary, which means that the Member State may not take more stringent measures than is necessary to achieve the objective. In the current draft bill which went through the Dutch Parliament, online lotteries are excluded, the question is whether this restriction is in accordance with European law and justified. 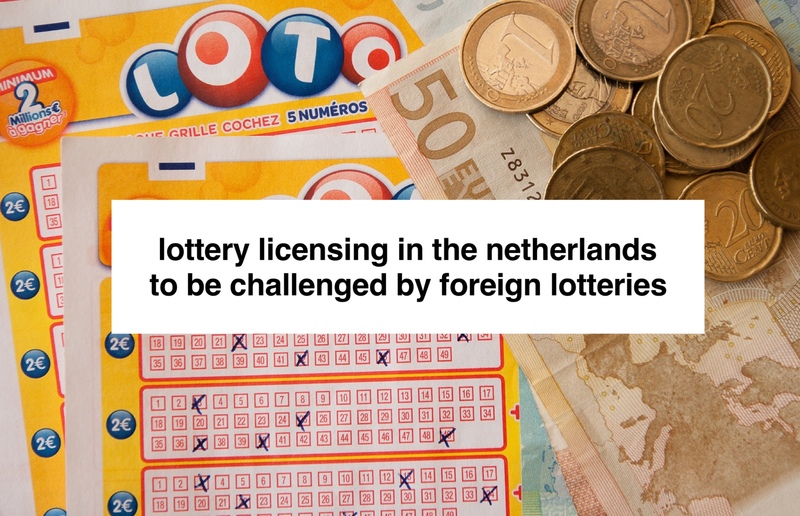 According to the explanatory memorandum, there is no substantial demand for online variants of the classic lotteries, so according to the Dutch government, there is no need to regulate this option by law. We do not believe this is sound reasoning by the Dutch Authority. Foreign Gaming Companies should apply for licenses to proof the contrary. Fair restrictions on gaming and betting? In the draft Bill, the Netherlands is briefly aiming at three general goals. The above goals constitute a legitimate reason for the primary purpose of the draft bill, the design and layout of the existing demand for a legal and safe offer of online gambling. But in addition to this objective, the draft bill also seems to pursue economic objectives. This is not usual, according to settled case-law on gaming law of the ECJ, financial advantage is no more than a mere favourable side effect of the measure. The exclusion of online lotteries in the draft bill is based on no or hardly any further assumption that there is no sufficient demand for online lotteries. See the Explanatory Memorandum; there is no known question for online variants of classic lotteries that require canalization. This is a remarkable passage, where a Member State chose to impede a certain freedom, the burden of proof of justification for this barrier is indeed on the Member State. The Netherlands must therefore demonstrate that there is no or not enough question from a consumers point of view. This requirement weighs heavier as it determines that the market is almost liberalized for online gambling except for online lotteries. The only motivation that the consumer demand for online lottery products is low is insufficient and relates to further explanation. On the other hand, current Dutch licensed lotteries offer online products. This proves there is a demand for online lotteries in the Netherlands market. It’s strange that online lotteries do not yet qualify for licenses, while all other forms of gambling such as casinos and sports betting are provided in the draft bill on remote gambling. That is not consistent legislation. If the government continues to assume it’s position, then the following situation will occur. What actually happens is that the illegal offerings with regard to online lotteries are becoming more attractive to the consumer, something that the Dutch government is trying to prevent. The constraint, as it is now, is insufficient to achieve the stated goal, so not justified in the current form. So the current legislation and the draft Bill do not take care of the business. The exclusion of remote gaming games in the draft bill seems not only inappropriate but also not necessary to achieve the stated goals. Awarding a license for online lotteries to foreign providers is, after all, a less extensive restriction than the currently proposed exclusion. Mark van Weeren has suggested a test case to challenge the restricted trade practices the Netherlands. Please call Mark on our office number to discuss to legal challenge for a license on the Dutch Gaming Market. Despite the wide discretion of the Dutch state, the exclusion of online lotteries as now underlined is an unjustified barrier to the free movement of services ex art. 56 TFEU. Betting Companies an Lottery Business should apply for Dutch Lottery License to open up the market. The online bill is still not through the Dutch Senate. For online gaming consultation with the gaming Authority is possible. Please get in touch with me if you wish to discuss any of this.